Individual care plans are drawn up with each resident and, if appropriate, with the relative’s family. These are reviewed as necessary and take into account each individual’s needs and wishes. 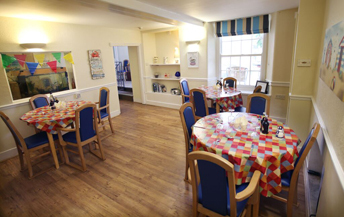 Residents are encouraged to participate as much as possible in the daily programme of activities and also in the running of their Home to make life at Netherhayes Care Home interesting and enjoyable. Indeed, it is the personal touch at Netherhayes Care Home, where attention to detail is pivotal, so that the individual feels both cherished and respected. There is a warm welcome at Netherhayes Care Home that brings a smile to the visitor’s face as they cross the threshold. The total commitment of staff to the comfort and care of the residents is very clear and it is a comfort to know that the right level of support is available when it is needed.